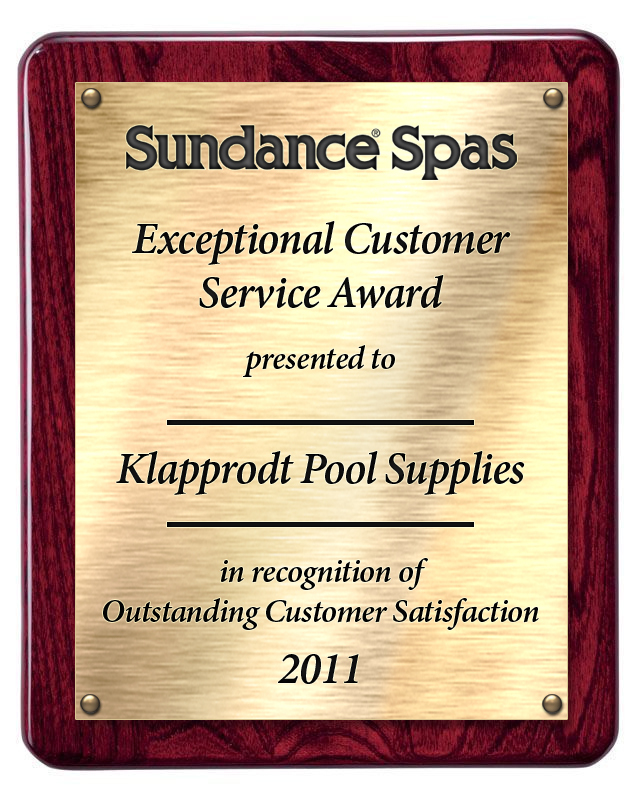 Klapprodt Pools is proud to have been awarded the Exceptional Customer Service Award for 2011 by Sundance Spas, making it three years in a row. This award was presented in recognition of outstanding customer service satisfaction. Having factory qualified technicians and zero unresolved customer issues are two of the requirements Klapprodt Pools met each year to receive this recognition. 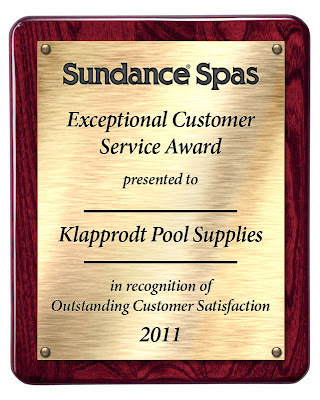 There are more than 650 Sundance Spas dealers in the world, and only about 10% are actually presented this highly prestigious award.